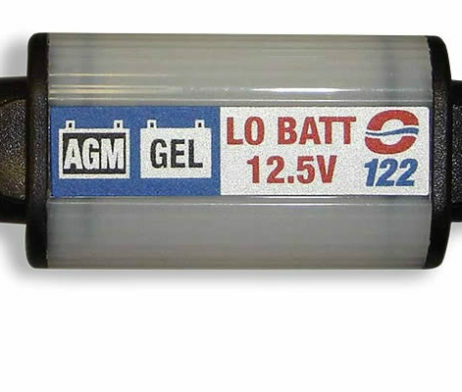 will need to recharge the battery? 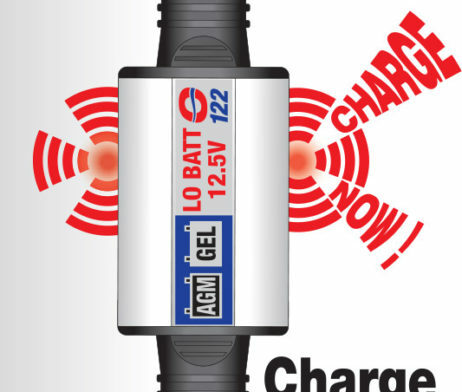 when your battery needs recharging. 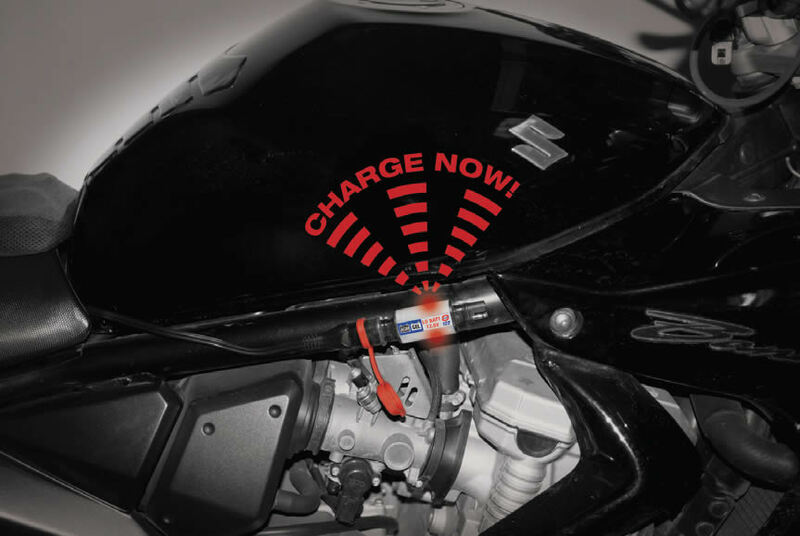 Charge the battery via the indicator. 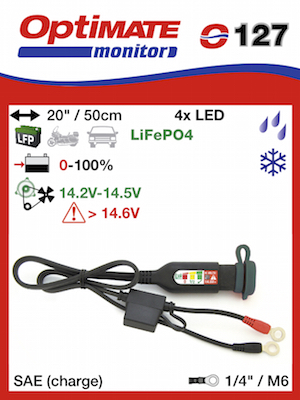 OptiMate battery monitors test and indicate State Of Charge (SOC) of the battery. 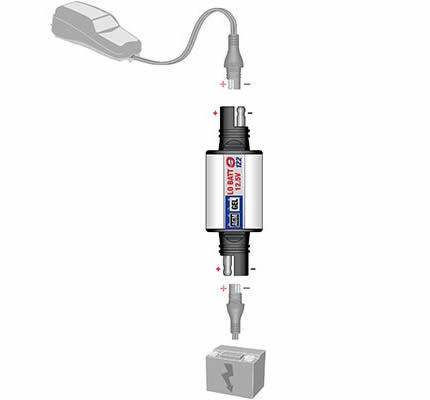 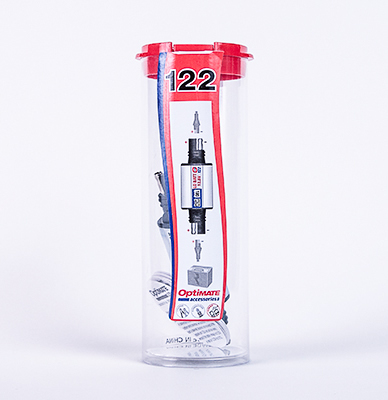 The heavy duty O-SAE connector is compatible with all industry standard SAE connectors. 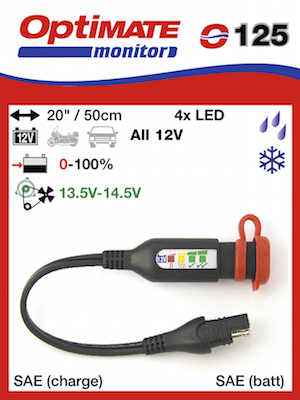 Storing your vehicle for a long period of time in a place where you have no access to mains, but want to monitor when you will need to recharge the battery? 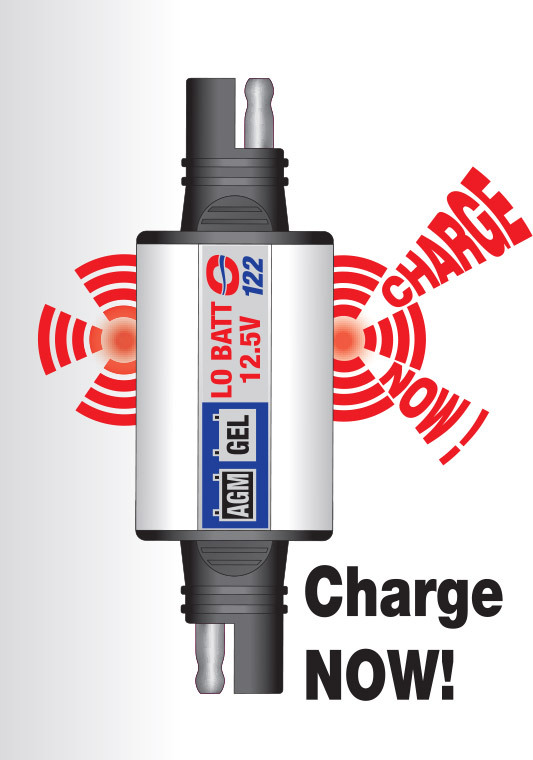 Our Charge Now! 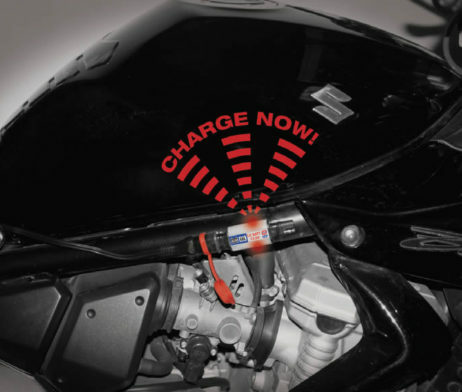 warning flasher warns when your battery needs recharging. Charge the battery via the indicator. 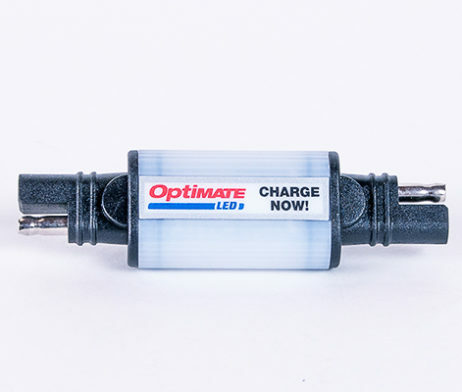 Warns when state of charge is at 50% or lower; bright LEDs flash repeatedly when it is time to charge the battery.Cost effective option if storing your vehicle or boat where you cannot hook up a battery maintainer 24/7. 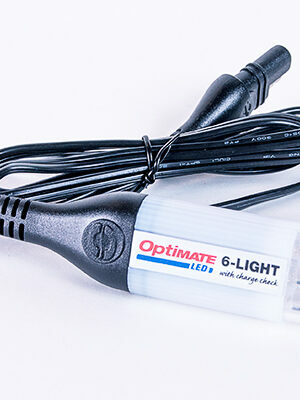 Perfect for dealers with many show room vehicles or vehicles in storage. 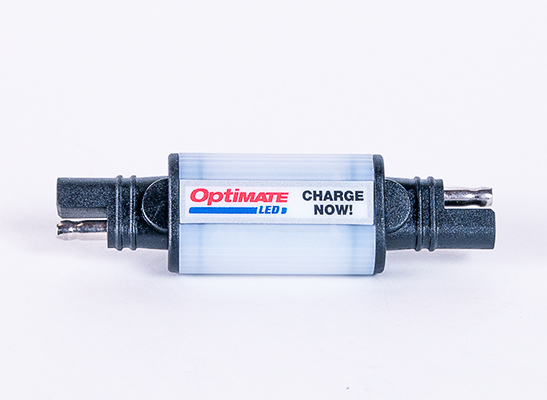 SKU: O122 Category: Battery Monitors Brands: Optimate. 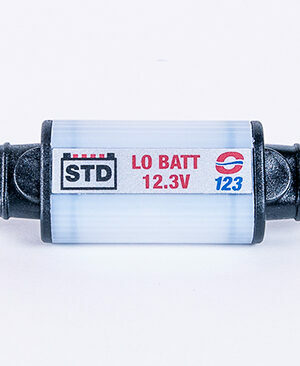 Draws less than 1mA when flashing. 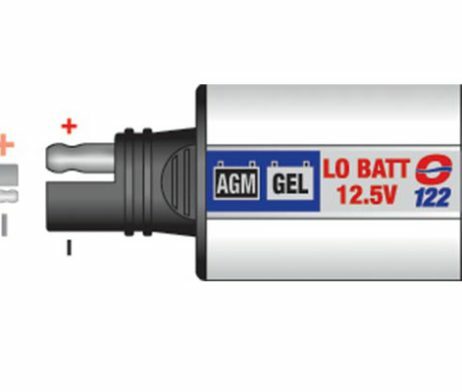 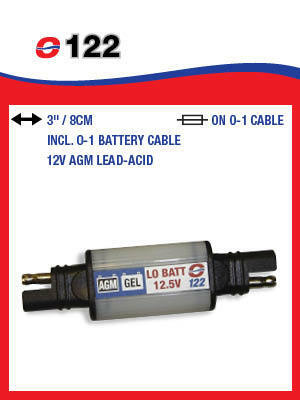 Works best on sealed 12V Absorbed glass matt or GEL batteries. Industry standard SAE 2-pole connector.